Spotify has been taking a beating in the press lately and we understand why. We have offered our own criticisms which mostly revolve around royalty rates and transparency. But we’ve also stated that Spotify is a symptom of a much larger disease of illegally operating, infringing businesses who make millions individually and billions collectively while paying absolutely zero to artists and rights holders. As much as we disagree with Spotify over their rates and PR spin on several issues, we also recognize that they are legal, licensed and pay out royalties as they have been negotiated. Artists are able to opt out of Spotify individually (and also if their label permits). It is for these reasons that Spotify are NOT the enemy. However this begs the question, if Spotify are not the enemy, who is? Well, as we stated above it is the massively deceptive Ad Tech businesses who have been financing mainstream music piracy for over a decade. This is the Silicon Valley internet tech lobby (lead by Google) who seek to dismantle and destroy copyright protection for individual creators. 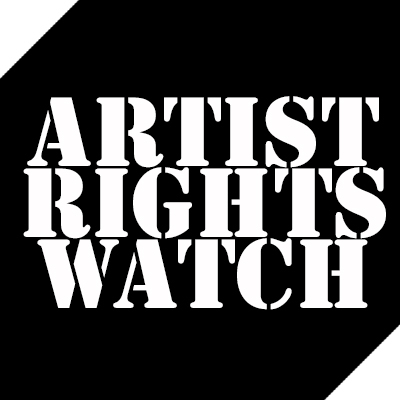 Yes, we hear a lot of lip service about how these people say they are really pro-copyright and pro-artist, but when every meaningful action and suggestion is to the contrary of protection and compensation of the artists work and labor it all rings a bit hollow. We now know after a decade plus of internet/tech snake oil salesmen there is no magic bullet and that “touring and t-shirts” is an admission of the failure of these online businesses to provide sustainable earnings for creators. In our ongoing “Exploited By…” series of posts we illustrate how major Fortune 500 companies, represented by Madison Avenue Advertising Agencies have been, and continue to finance the destruction of the creative community. Let us focus first on the many who pay nothing at all to musicians while pocketing 100% of the Profit. Let us focus our energies on the illegally operating companies and corporations who have made infringement for profit their business model. We are encouraged to see Spotify also take up this mutually beneficial fight against those companies and business who have so greatly devalued the work of musicians as well as impeding the growth potential of legal and licensed companies to create sustainable models for all stakeholders. This is the first step towards making real change that will remove the bad actors from the marketplace and move towards a sustainable ecosystem for all legal and licensed stakeholders. We’ve commented before that we believe that Spotify is unsustainable at current rates. It is also worth noting that Spotify pays significantly MORE than YouTube, a business that was founded and built on the premise of infringement for profit. Although YouTube and Google have made improvements in their services for rights management they still fundamentally devalue the work of artists hiding behind the DMCA. Google and YouTube also continue to create and distribute anti-copyright and anti-artist propaganda asserting that any “remix” of an artists work is “fair use.” It is not. In the end Spotify needs to increase it’s revenue per stream so it can increase it’s royalties per stream to be sustainable for artists. The number one way to do this is to capture the millions or even billions in advertising revenue that are financing illegally operating and infringing businesses that pay artists nothing. In closing, the enemy is not so much those who pay so little offering artists both consent and compensation, but more so those who are paying nothing at all and deny the artists consent. 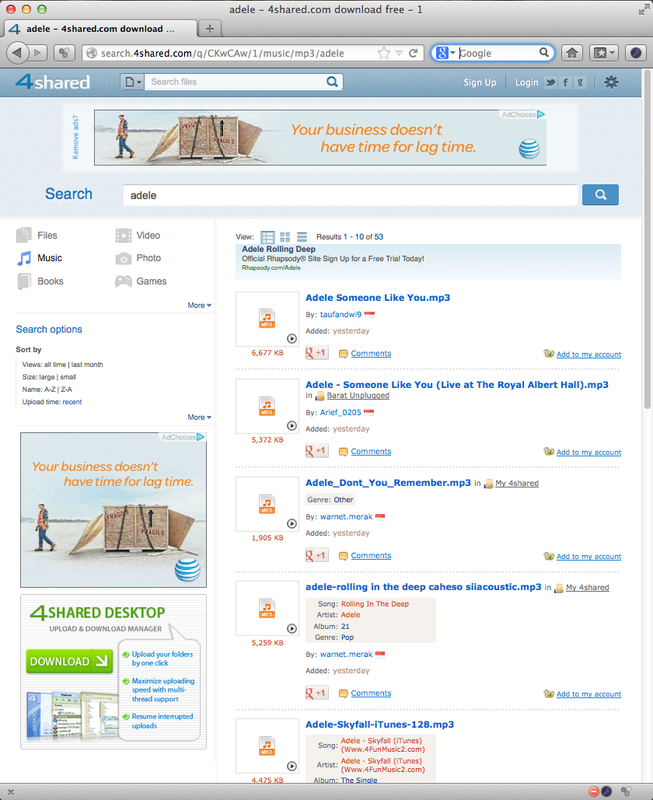 Visit the top torrent search engines, and you’ll find ad calls from Yahoo, Google, Turn, Zedo, RocketFuel, AdRoll, CPX Interactive and others. These sites exist to connect people with illegal downloads of intellectual property, a practice that’s estimated to cost the U.S. economy $20 billion in the movie industry alone. No matter your feelings about U.S. copyright laws, they are laws, and there’s no doubt these sites facilitate illegal behavior, even if they don’t house the content themselves. The oxygen that sustains many of these sites is advertising, delivered by the vast archipelago of the ad tech industry. Another focus is online-ad networks, which media companies say help finance piracy by placing ads on sites that traffic in unauthorized content. A study last summer, commissioned in part by Google, found that 86% of peer-to-peer sharing sites are dependent on advertising for income. Bottom Line: Exploitation is not Innovation. Yesterday the Wall Street Journal added it’s voice to mainstream news outlets such as The New York Times and The Los Angeles Times reporting on major brand funded ad sponsored piracy. NBC’s special unit said it recently discovered advertisements for Blockbuster and the U.S. Forest Service on cyberlockers that had trafficked in its content without permission. 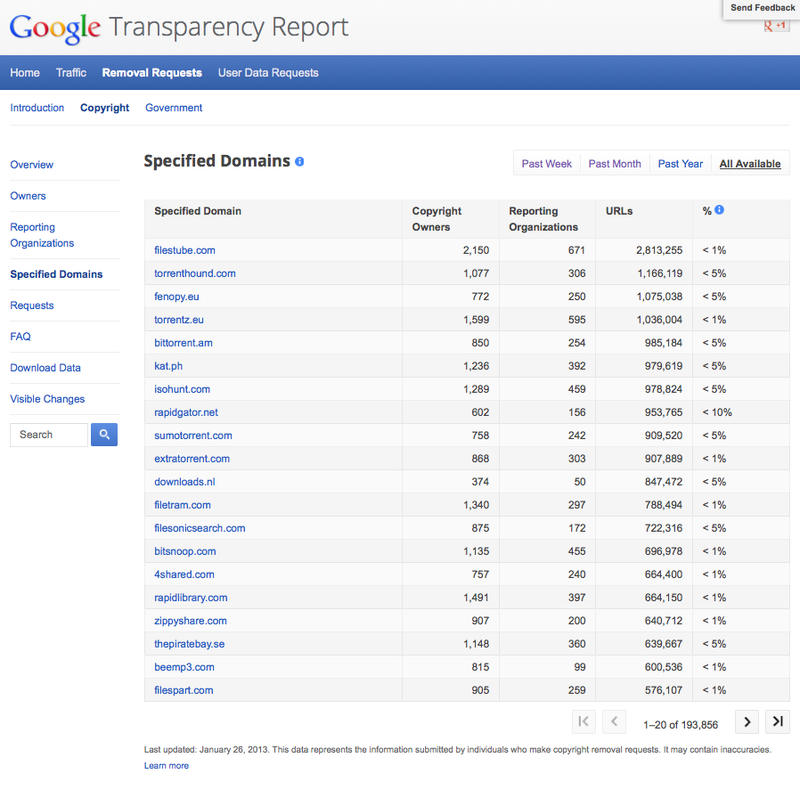 The ads had been supplied through Google’s AdSense, which places ads related to keywords. Blockbuster said it had “policies and controls” to stop improper ad placement, but called it an “ongoing challenge.” The Ad Council, which handles ads for the Forest Service, said any time its ads ran on questionable sites, it requested that they be taken down immediately. After a request from NBC, Google removed the ads, said NBC Universal’s Mr. Cotton. Please sign the letter in the link below to the CEOs of brands that appear on multiple occasions on infringing sites. Ask them to take a pledge to keep their ads off of illegal sites. 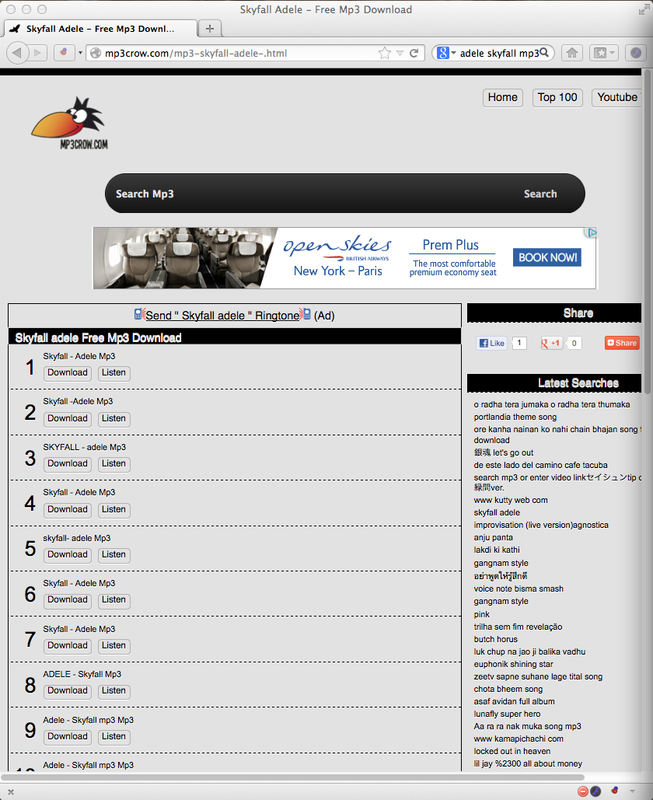 Keep in mind that this list is not a comprehensive list of brands that appear on pirate sites. We, the undersigned, are just a few of the millions of artists and creators living, working, and creating across the United States. It has come to our attention that your companies are advertising on websites that illegally host or distribute creative content. We want to make you aware of the harm your companies do to independent artists and small businesses when you advertise on these sites. Advertising on these sites encourages others to exploit our work for economic gain without a return to us. It deprives us of the opportunity to build communities with fans when they visit illegal sites to obtain our work, rather than our sites. It also gives consumers a false sense of security by lending an air of legitimacy to these sites. And, it rewards activities that are illegal. Advertising on these sites also damages your own brands by association. We understand that it can be difficult to know where your companies’ ads might end up because of the complexity of online advertising. However, difficult does not mean impossible. It appears that other companies make ad buys in ways that don’t result in their brands being tarnished and our work being exploited. We ask you to encourage your companies to do the same. You are in the best position to employ high-quality control standards and to demand the same from the ad networks you use. We encourage your companies to uphold high ethical standards for advertising placement, just as you do in other areas of business. Please ask your online advertising purchasers to adopt practices like those detailed in the Statement of Best Practices to Address Online Piracy and Counterfeiting, released last year by the Association of National Advertisers, the American Association of Advertising Agencies (4A’s), and the Interactive Advertising Bureau. The practices outlined here, if adopted by major companies like yours, would go a long way towards ensuring a free and fair online marketplace for artists and creators to thrive. A report released by the University of Southern California’s Annenberg Innovation Lab on February 14, 2013, under the direction of Jonathan Taplin, has identified the top ten Ad Networks placing ads on infringing sites. And, according to research and documentation by artists working in tandem with this project, your companies have been identified as brands that repeatedly advertise on infringing websites. Now that this issue has been brought to your attention, we hope that you will take affirmative steps to address this problem. Hypebot Have No Defense of Ad Supported Piracy So They Resort To Name-Calling. East Bay Ray of The Dead Kennedys and I had an informal bet going. Well maybe not a bet, just a sort of prediction that once Ray spoke against ad supported piracy at SF Music Tech, the music tech bloggers would start with the usual name calling. Sure enough right on cue we see Bruce Houghton’s Hypebot giving Mike Masnick (see the “Google Shill List”) a platform to bash Ray and other artists. “Whining” “Old” “Grumpy” and “Rant” were some of the unfair and unbalanced terms that Ray and I predicted they would use in the de rigueur post–SF Music Tech cyber bullying. And they did. This is pretty sad since ending ad supported piracy is a no-brainer—even Google and Yahoo! fall over themselves to try to explain their unexplainable connection (see USC Annenberg Innovation Lab report). Both artists and the legitimate music tech firms are negatively affected by ad supported piracy. For instance legitimate music streaming services have to compete against these same unlicensed services for ad revenue. 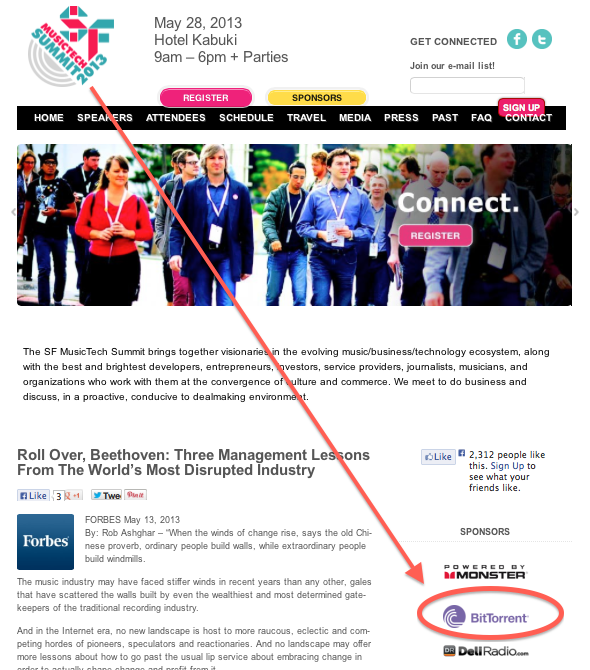 Why the music tech space bloggers fail to grasp this is a mystery. Bruce Houghton also owns the talent agency Skyline Agency. This agency tends to have a lot of “Old” and “Grumpy” artists that would probably go on a “Rant” if they were to see that their agency head is tacitly defending this practice. So we prepared a few screenshots. Any comment Bruce? Do you think that this practice is acceptable? How do our “future” music models like streaming compete with the guys that don’t pay any royalties to artists? We’re all ears. Pure Prairie League piracy brought to you by BMW. Al Stewart By Celestion and zZounds. Grand Funk Railroad By Banana Republic, Amazon and others. 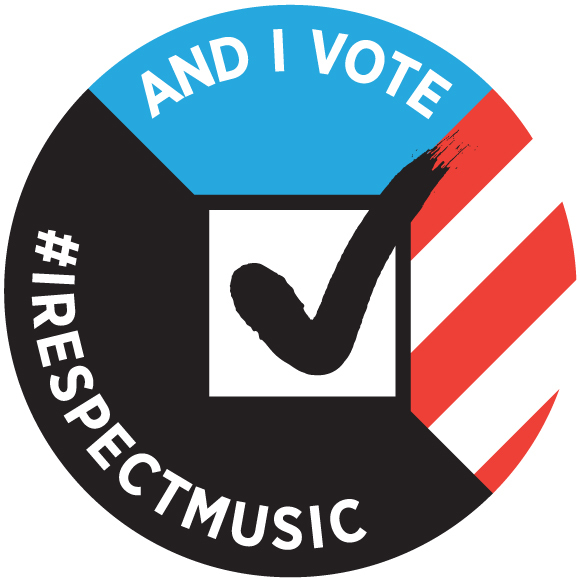 We spend most of our time here focused on artists rights as it applies to music and musicians. But we wanted to see if the film industry was having the same challenges as music. We believe in the rights of all creators to consent and compensation for their work (ethical internet principles numbers two and four, respectively). 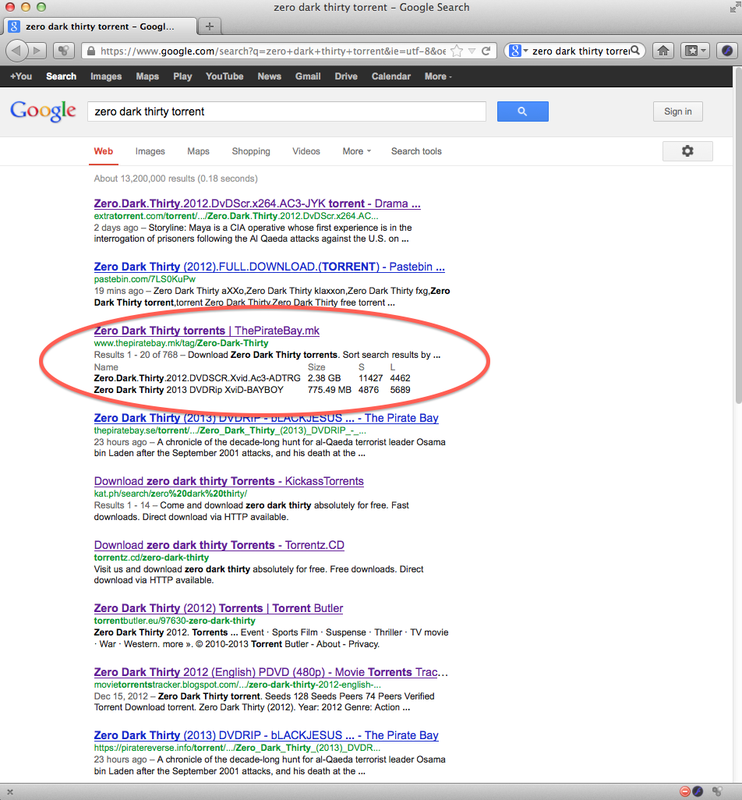 With the upcoming Academy Awards we wondered if it would be possible to find pirated versions of Zero Dark Thirty. It is the most talked about film of the year which is nominated for five Academy Awards including Best Picture. But it could easily be any of the other nominated films, in any of the categories as well. We just picked Zero Dark Thirty. It’s also been widely reported that most of the nominated films have already been pirated and are online. We were also curious what major brands might be supporting that piracy, and if any of those same brands might have advertising that appears on the broadcast of The Academy Awards show itself. We would hope the Academy Of Motion Picture Arts and Sciences would be able to educate the various brands, advertising agencies and online ad networks about the damage they are doing to the creative community. 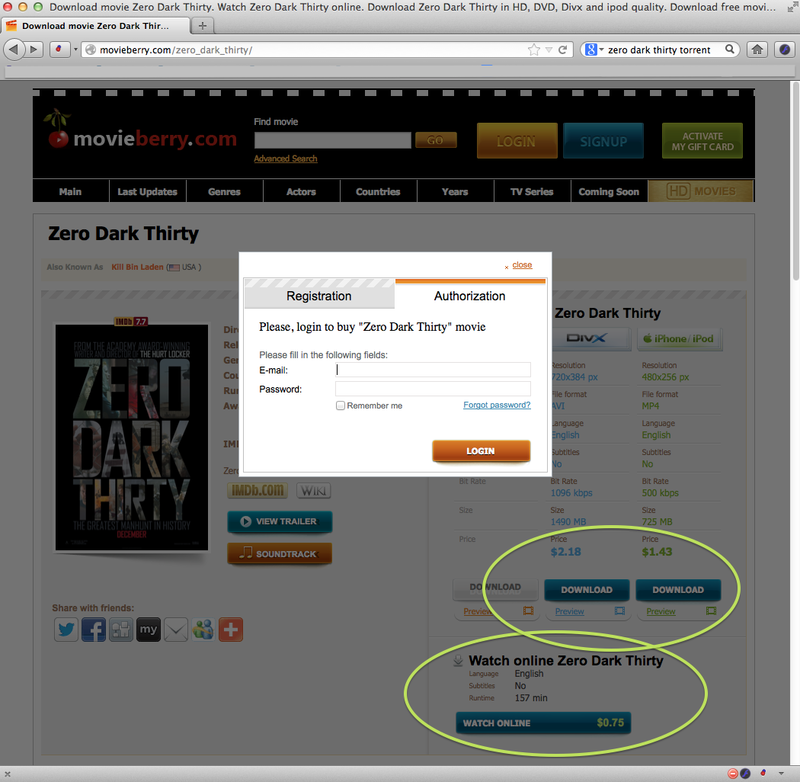 What makes this even more frustrating in the case of Zero Dark Thirty is that the film is not even out of theaters yet. 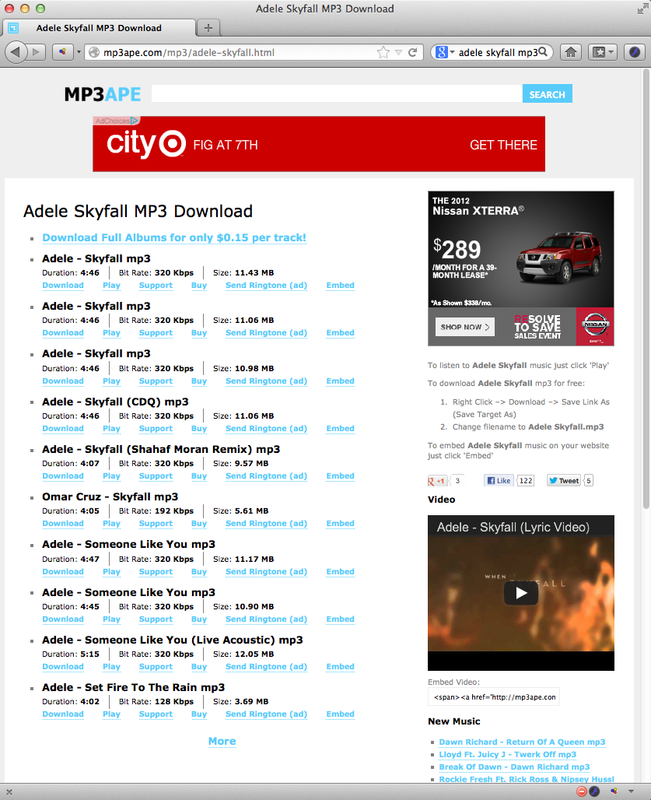 At least with music, it is usually (usually…) commercially available before it is pirated. That’s just a couple sites to download the movie for free. What’s more common amongst film piracy are the faux subscription services that charge annual membership fee’s to stream all of their pirated movies (so much for information wants to be free, but movie want to be paid for…). Here’s just one example where you can pay on a transactional basis of $.75 to stream the film or between $1.43 or $2.18 to download the film of varying quality. So much for “Free Culture.” As it turns out there’s probably very little online piracy happening without money changing hands somewhere in the value chain. The money may be in advertising, or it may be in transactional or subscription fees, but one thing is for sure, people are getting paid and not paying the creators. In the case of the above, and as we also asked did MegaVideo Charge for Streaming Movies the problem here is to address those processing payments such as American Express, Visa, Master Card and the various other banks such as Citi Bank and Wells Fargo (whom have also been seen advertising on pirate sites). 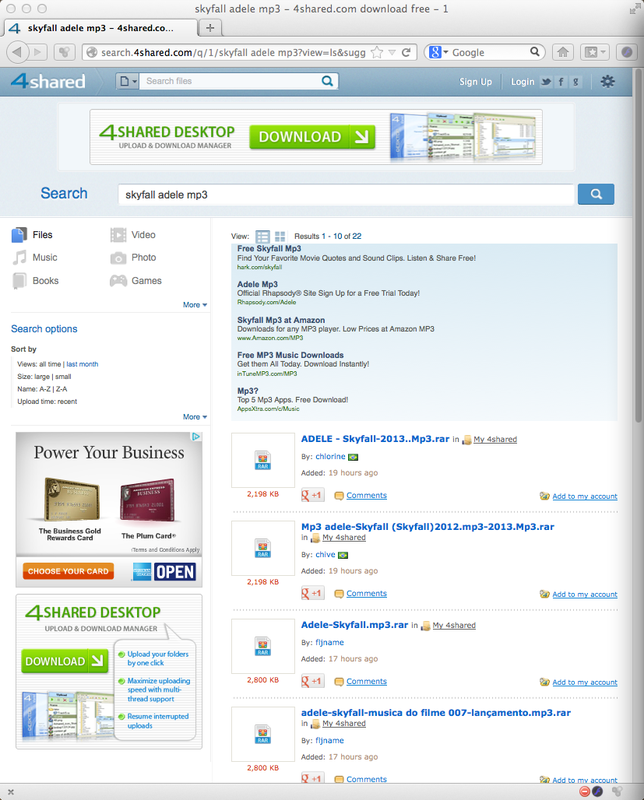 At least PayPal is taking responsibility and denying service to pirate sites. That thanks largely to the good work being done by StopFileLockers. 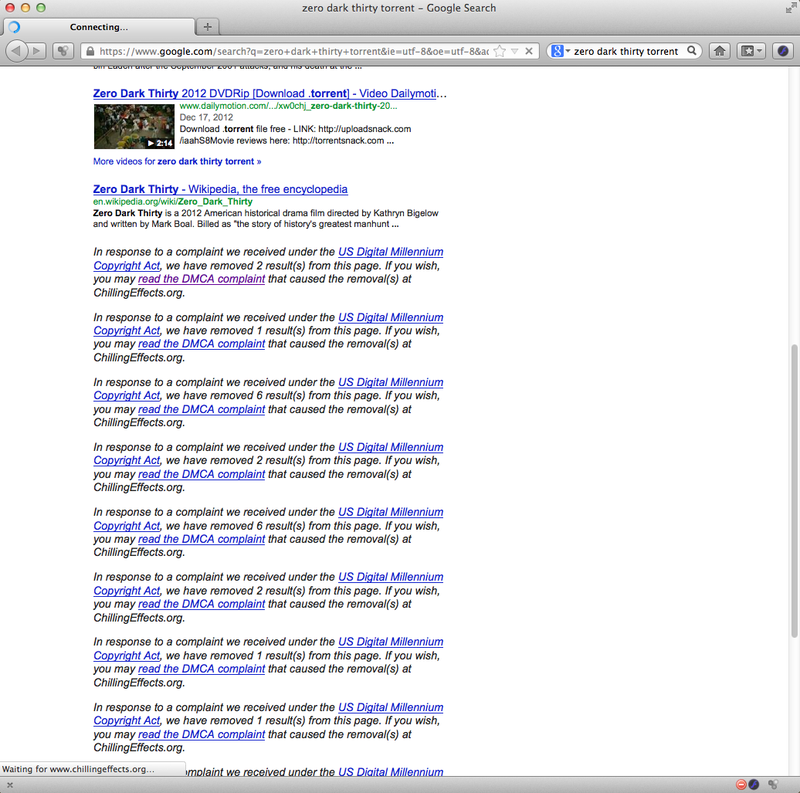 We found a couple of things of interest as well regarding Google’s search. Despite there being (we’re guessing conservatively) literally thousands of DMCA notices to remove the film from search, The Pirate Bay still ranks #3 on the first page of search results! Surely Google as well as everyone else in the world knows the site was found guilty and it’s founders sent to jail. Yet Google has not delisted the site from search in it’s entirety which would be the right thing to do, knowing that the judgement against The Pirate Bay was upheld even by the Supreme Court of Sweden. Now why exactly is there a need, once a link has been delisted to post a notice to a site that then shows that very same link that had been lawfully delisted from Google search by the DMCA? 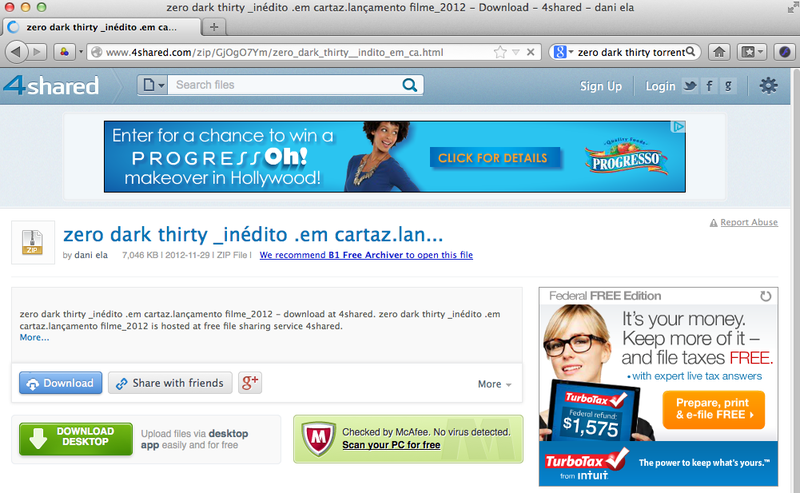 In the screen shot below are shown just the first forty delisted links, but on that one notice alone there are over three hundred delisted links to pirated copies of Zero Dark Thirty in one way or another. Make no mistake about it, every one of those previously delisted links is still active on the servers where it originated and it can simply be copied and pasted back into any web browser. Further more, these links have been delisted due to the fact that most if not all of these infringing sites are not based in the United States and do not conform to United States law and therefore do not comply with the DMCA itself. Is this all just a cat and mouse game for Google to profit from piracy? Draw your own conclusions. Below is a partial list of over 50 major brands who are advertising on pirate sites and therefore supporting not only music piracy, but also the mainstream piracy of films and every other kind of digitally distributed work. As we’ve stated before the content industries may have the ability to address mass scale, enterprise level, commercial infringement without necessarily requiring any new legislation. What we find frustrating is that the major content companies and corporations must have existing relationships with these brands as the content and media distribution companies own the television networks (at the very least) that these brands are dependent upon for the mass scale and mainstream promotion of their products and services. The major content companies as well as their well respected institutions such as The Academy Of Motion Picture Arts and Sciences (The Oscar’s), The National Association Of Recording Arts and Sciences (The Grammy’s) and The Hollywood Foreign Press Association (The Golden Globes) all host annual award shows where many of these brands are also advertising. Why isn’t it possible to use that opportunity to educate these brands about the damage they are doing to the creative community? In other words, where are the adults? What is disappointing is that the same people pushing for new legislative solutions could also be leveraging their relationships with the brands and advertising agencies directly to educate them about the seriousness of this problem. The same goes for the banks and payment processors such as American Express, Master Card, Visa and others. At least one company, Paypal has been very proactive in severing it’s ties and services with illegal and infringing sites, we wish more would to the same. 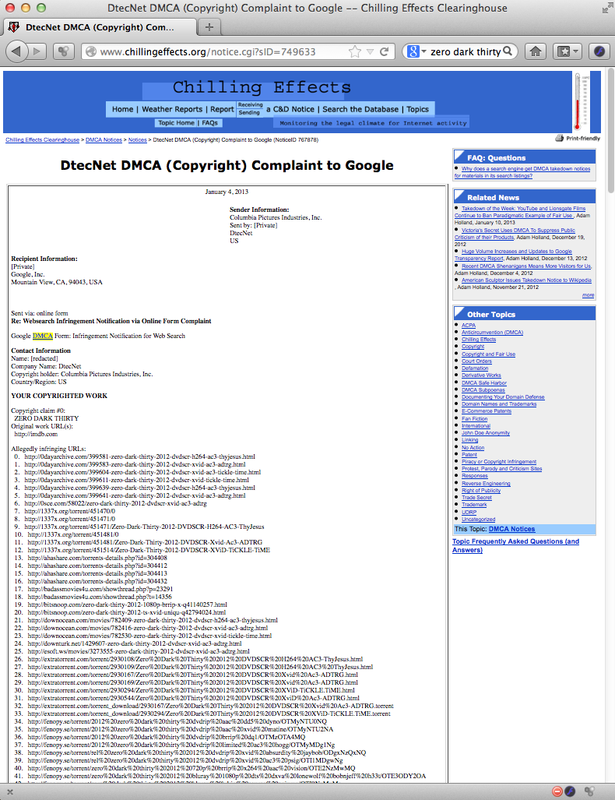 Keep in mind the screen shot above only lists the Top 20 sites of the almost 200,000 in total that are receiving DMCA notices for copyright infringement. Clicking on the name of any of the brands below will take you to a post that contains the screen shot of the ad itself. What is also important to note is what brands are NOT on this list. Brands like Coke and Pepsi do not seem to appear on pirate sites, and that can’t be an accident anymore than it not being an accident that these other brands do appear on pirate sites. So for that, we applaud Coke and Pepsi for their respect to the creative community. We might also suggest that the brands on this list think about adopting the Bill of Rights for Online Advertisers by Benjamin Edelman of The Harvard Business School. Five rights to protect advertisers from increasingly powerful ad networks — avoiding fraudulent charges for services not rendered, guaranteeing data portability so advertisers get the best possible value, and assuring price transparency so advertisers know what they’re buying. Remember all change is local, and you vote with dollars. If we don’t take action directly ourselves we can’t really blame others. 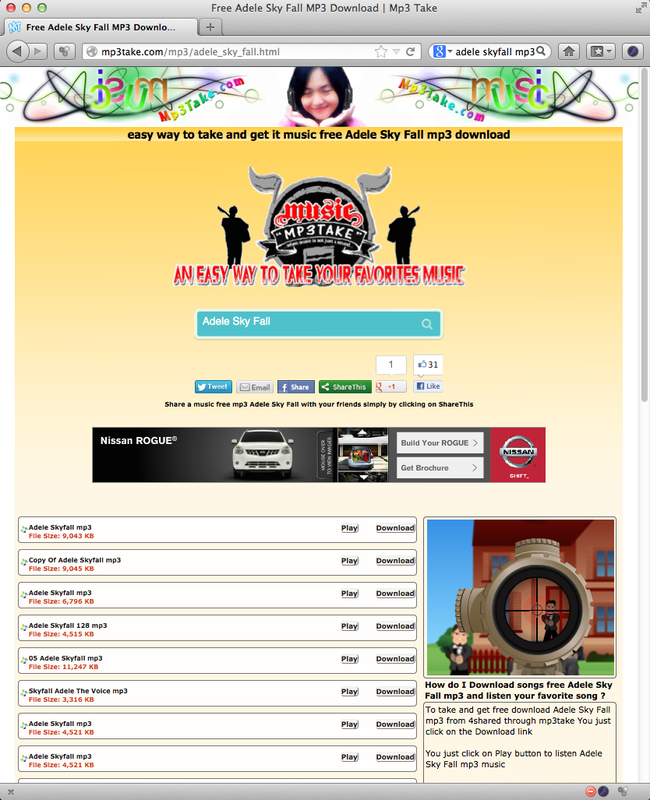 These brands are paying the pirate sites to give away your music (directly or indirectly). One tweet a day to any of these brands is all it takes to start building awareness. You, yes you, can make a difference. Which of these brands do you support with your money? Let them know you don’t want your money, that you pay to them, being used to promote online music piracy and artist exploitation. We’re going to be tweeting a brand a day starting tomorrow. Retweet us if you like. On Sunday January 13th, Adele won the Golden Globe for the Best Song In a Motion Picture for her song “Skyfall” in the latest James Bond film of the same name. So we thought we’d take a look and see which brands are advertising on both the Golden Globes Awards Show and also on the pirate sites giving away the song that had just won the award. It’s interesting to note who doesn’t show up on pirate sites as well. 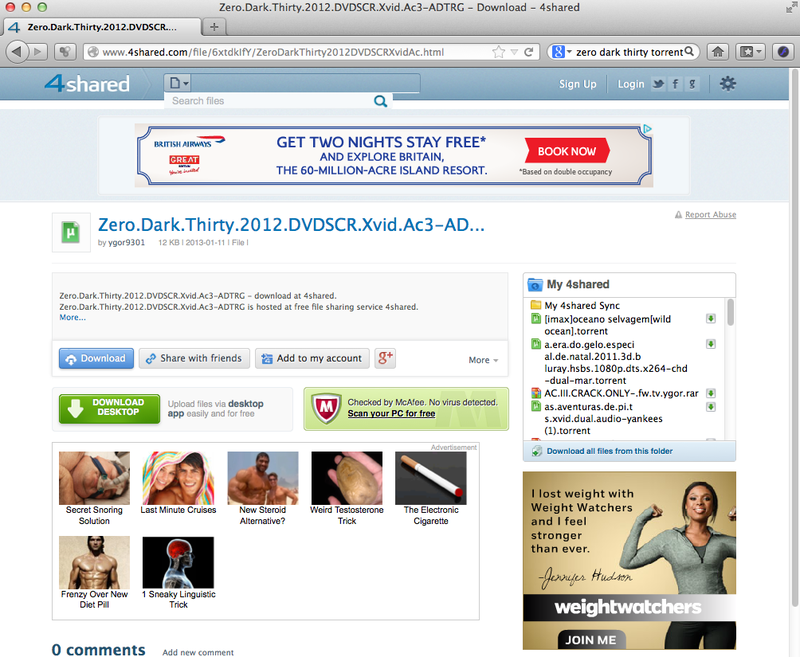 For example we’ve seen no ads by L’Oreal (as yet) on pirate sites. L’Oreal had a very strong presence running ads during the Golden Globes, as did Target (who unfortunately also shows up frequently on pirate sites). British Airways is interesting in this batch. Adele is British. James Bond is British. Have to wonder how smart these ad networks are getting in their targeting of consumers based on interests and other relational values.